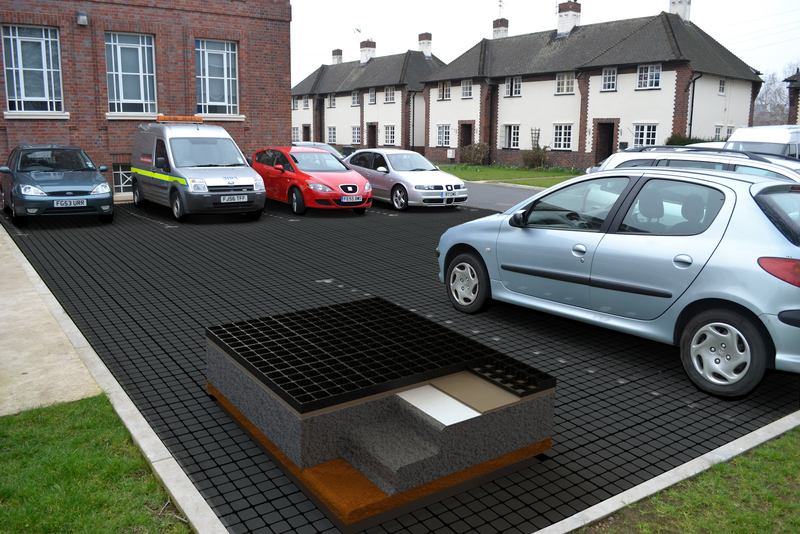 EcoGrid is the ideal product to produce gravel filled parking systems. Gravel filled parking systems that are completely free draining! Our gravel retention system is ideal for parking, pathways and many other applications. We all love the look of a traditional gravelled driveway but what we don’t love is the way that the gravel travels out in to the road, the way it ruts and collects water, the way you find stones on the lawn, the perennial weed growth and the way the base materials mix up with the surface whatever you do. EcoGrid is the solution, used as a means of retaining gravel wherever its employed. The EcoGrid tiles arrive on site already locked securely together, therefore the fitting of the system is extremely swift and speedy. 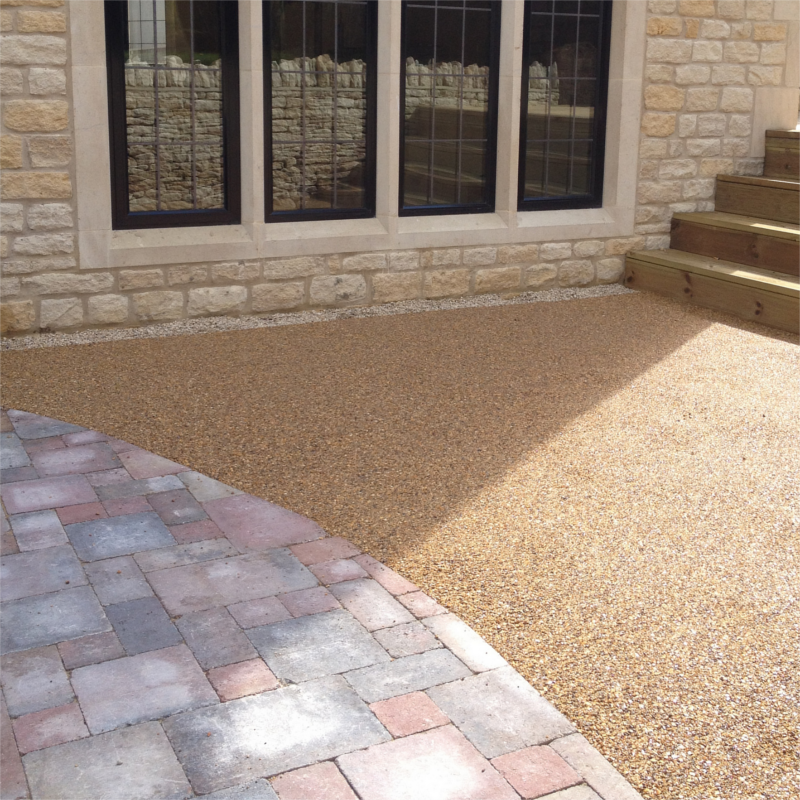 Our paving comes in four different colours for this application so you can easily match it up to the type of gravel used. Black, green, terracotta and light grey. Excavation is as little as 120mm for standard vehicle domestic applications meaning that there are a number of inherent advantages such as: less waste to landfill, quicker preparation, less requirement for hard-core, and no inconvenience to clients as the grids are immediately load bearing. 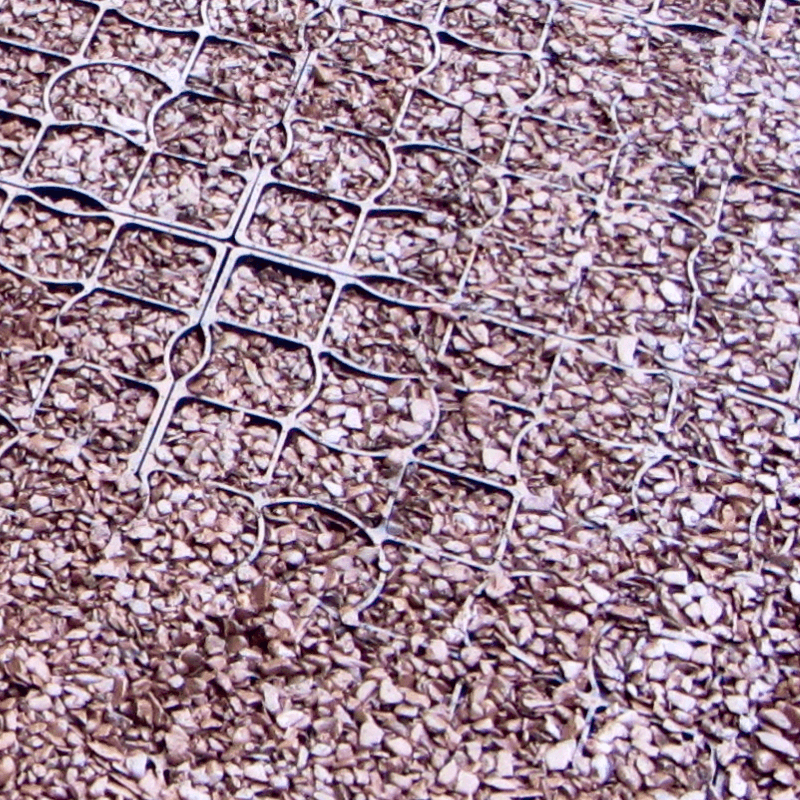 Create a fully permeable, free draining and load bearing surface with EcoGrid. A patented interlocking system makes our porous paving grids quick and easy to install (up to 100m2 per hour, per person) and once installed stay virtually maintenance free even with vehicles driving directly over them day-to-day. A drainage layer is laid, the depth of which corresponds to the type of traffic which will access the surface. This is generally classed as type3 reduced fines. This means 20mm stone mixed with smaller stones to create a firm foundation but the difference between this and type 2 is that the ‘dust’ content is removed which makes the sub-base as permeable as possible. It is also possible to use clean 10-20mm stone. Often a plate test is carried out to ascertain the type of surface to be excavated. This means a plate which can be 250-500mm round or square is placed on the ground and a load is placed on the plate (often a simple tyre jack and a vehicle). The depth that the plate sinks will show the type of ground conditions and the corresponding depth of sub-base. This is often classed as the CBR (California bearing rate), in layman’s terms it means the firmness of the soil to be excavated. 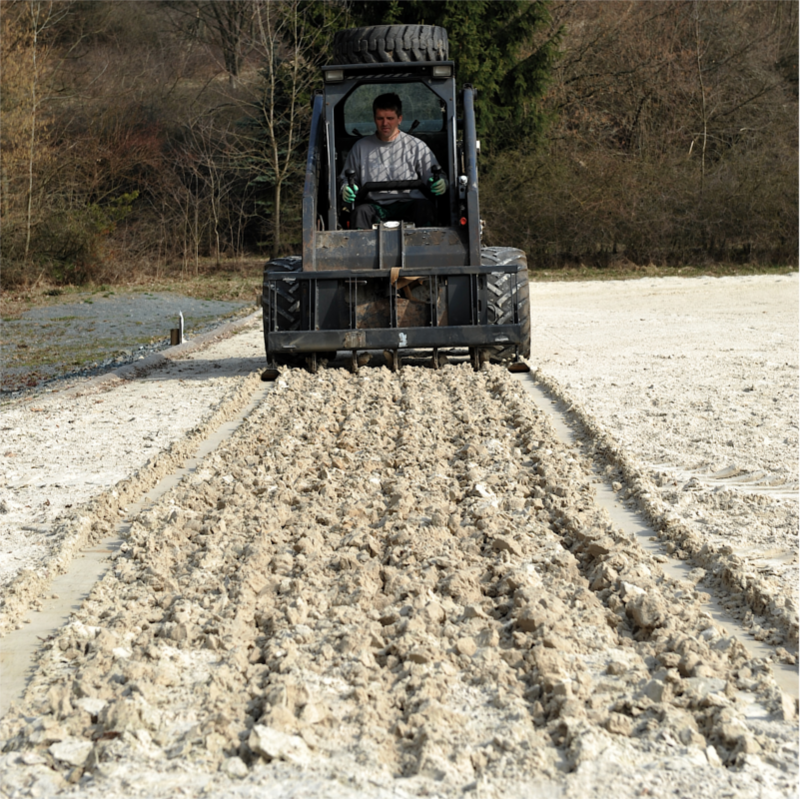 An EcoGgrid approved geotextile layer follows to enhance surface support, provide a layer of filtration and to stop the drainage layer stone migrating up to the surface. A screed layer is laid; this can be a large granulate sharp sand or clean fine sharp angular stone, typically 20-30mm deep laid, levelled and compacted.